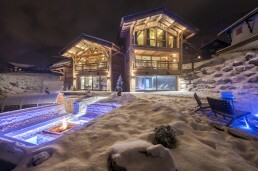 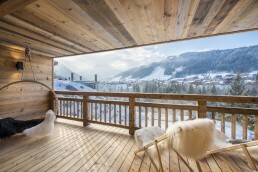 We were fortunate enough to start working on this project from the very outset – our client contacted us as he wanted to create an world-class ski chalet – and asked for our assistance in finding land, an architect and a build team for the project. 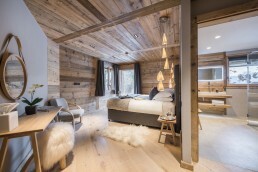 Hervé excelled himself in designing a building that complemented the amazing plot of land procured, and we then spent over 3 years working closely with the client, architect, project manager and the build team on this exceptional ski chalet. 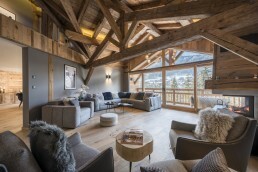 The brief from the client was to create the most sumptuous chalet in the region, designed with the luxury rental market in mind. 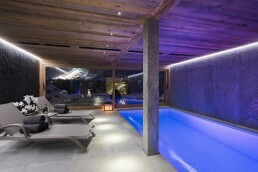 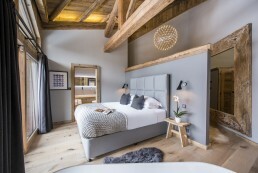 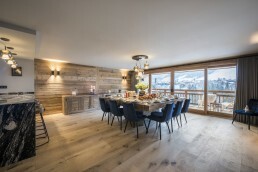 We have worked on all the design details pertaining to the chalet, including kitchen and bathroom designs, electrical and lighting designs, layouts and all internal and external finishes. 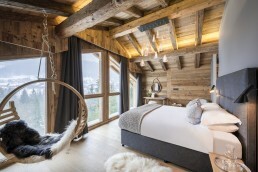 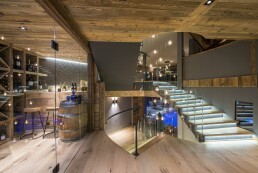 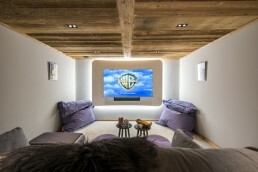 We simply adore this project, and are proud to be so intimately involved in a ski lodge which is redefining luxury mountain living.